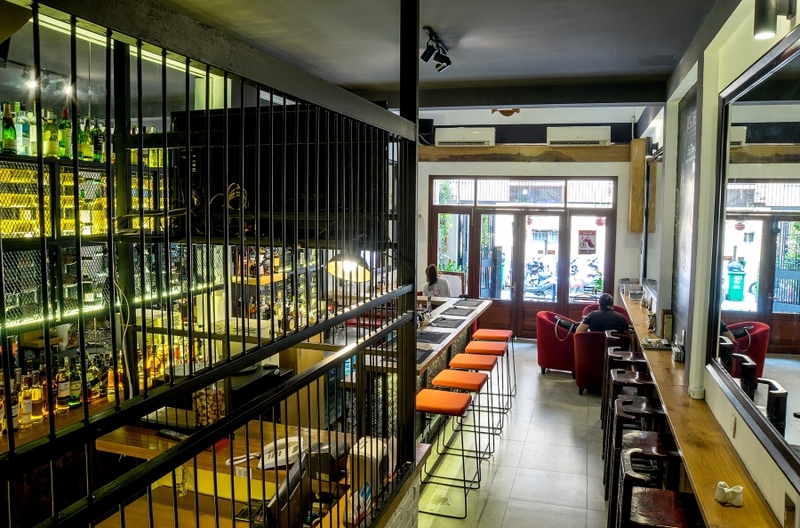 A cozy café tucked away in an alley off Le Thanh Ton, Café Bar KESERA (26/3 Le Thanh Ton, D1) has a bit of everything for everyone. And if you love bagels then Kesera is the place for you, offering some of the most authentic bagels in Saigon. Try their plain bagel with salmon, cream cheese, avocados and shrimp then wash it down with a cup of piping hot coffee and it’s like you’ve traveled to New York City, the bagel capital of the world. 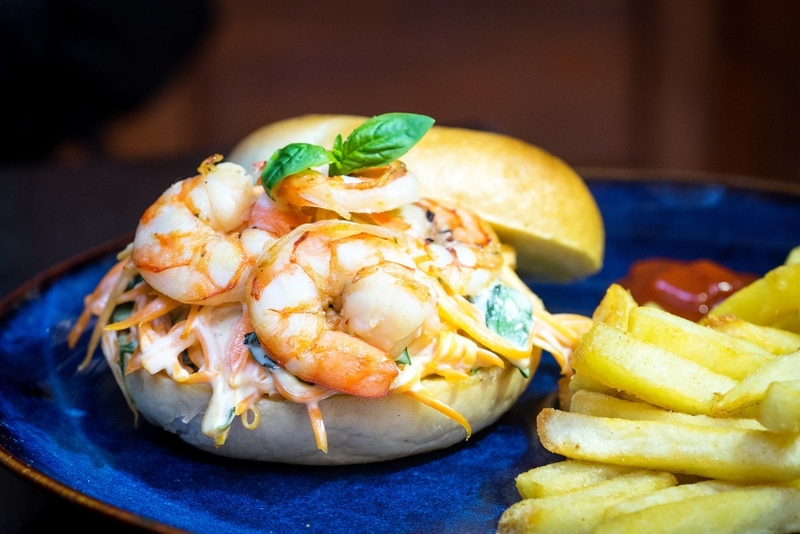 The menu is diverse but with a focus on Western and Japanese fusion, along with salads, burgers and several Thai, Indian and Korean dishes, and a wide selection of homemade cakes including my favorite—cheesecakes. 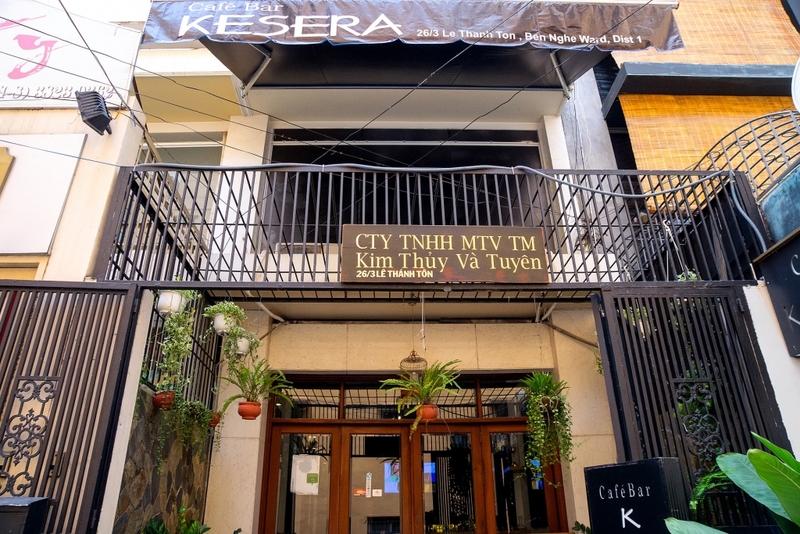 Kesera has two floors, the ground houses the bar with table seating, and live music every Saturday night, while the upper level has two relaxing dining spaces with comfy sofa chairs. We started our lunch with the Teriyaki duck (VND120,000) and Japanese scallops (VND190,000) as appetizers. The duck was expertly cooked and tender, presented on a bed of arugula drizzled with a sweet teriyaki reduction sauce. 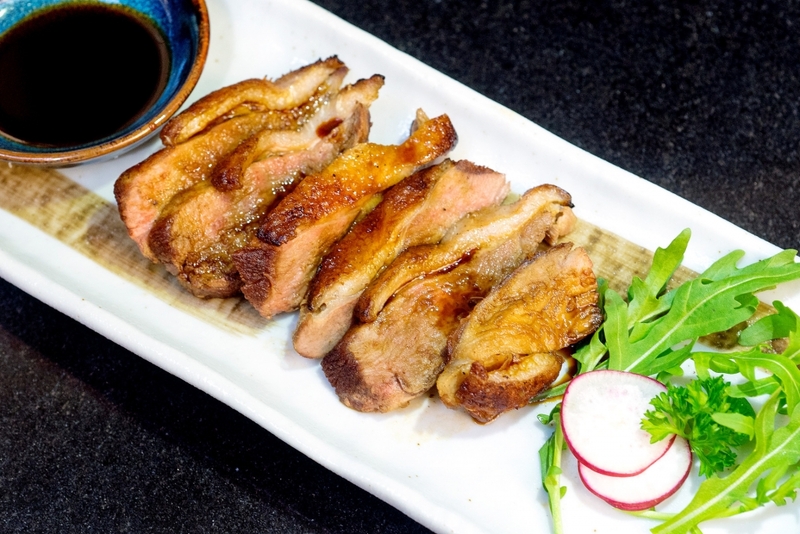 The freshness of the arugula, crispiness of the duck skin and juiciness of the meat formed moreish bites one after another. This was a great start to our lunch. 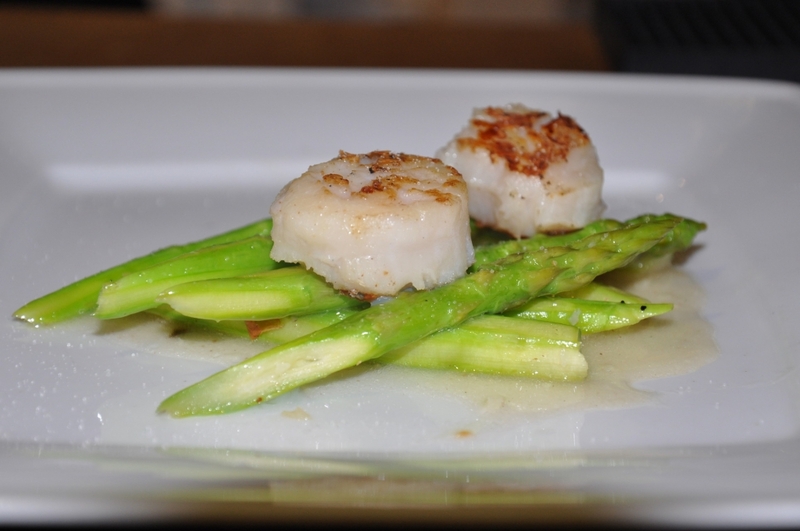 To follow were scallops served on intricately latticed asparagus. Precision timing is crucial when preparing scallops—too long on the pan and they become rubbery while not enough time will leave them uncooked and slimy. The two scallops perched on top were seared off and cooked to perfection and left us in the mood for more Asian flavors, so we ordered a glass of wine and a Strawberry beer cocktail from their wide selection of beers and fine wines. It was crisp and not overly strong for an afternoon meal. Soon the main dishes made their way to our table. 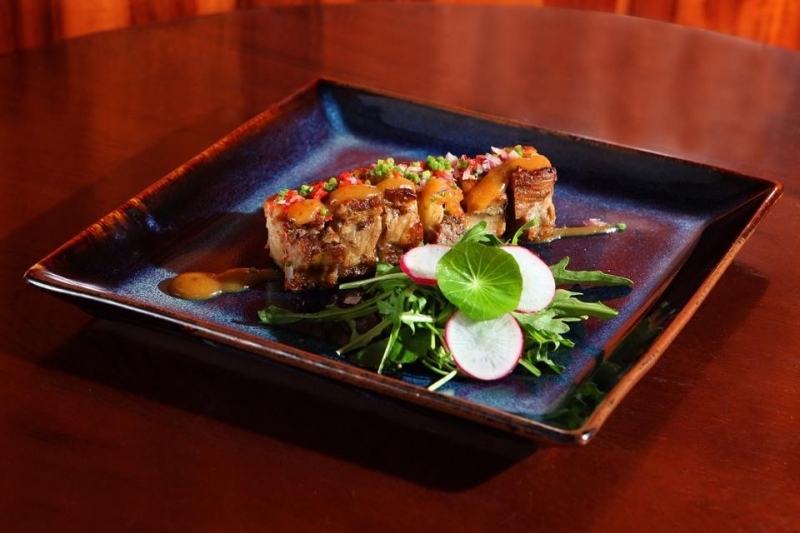 The Roasted pork belly (VND125,000) with a ginger sesame based sauce and a vegetable relish was a good marriage of flavors and textures—juicy and tender morsels of deliciousness. It was a creative take on a common Vietnamese dish seen in most com tam eateries. As an avid bagel lover, who hasn’t had a good bagel in a good few years, I couldn’t leave Kesera without trying their famous “best bagels in Saigon.” Fighting the traditionalist in me who wanted to order the classic salmon and cream cheese bagel instead, and taking advice from my lunch companion, I ordered the more interesting item on the menu: the Shrimp and basil bagel sandwich (VND80,000) served in a bed of grated carrots and a mayonnaise-based relish. The bagel was boiled and baked as it should be and would make a New Yorker proud, and obviously baked that morning. The amalgamation of creamy relish, crunchy carrots and roasted shrimp inside the glorious baked halo of dough was phenomenal. 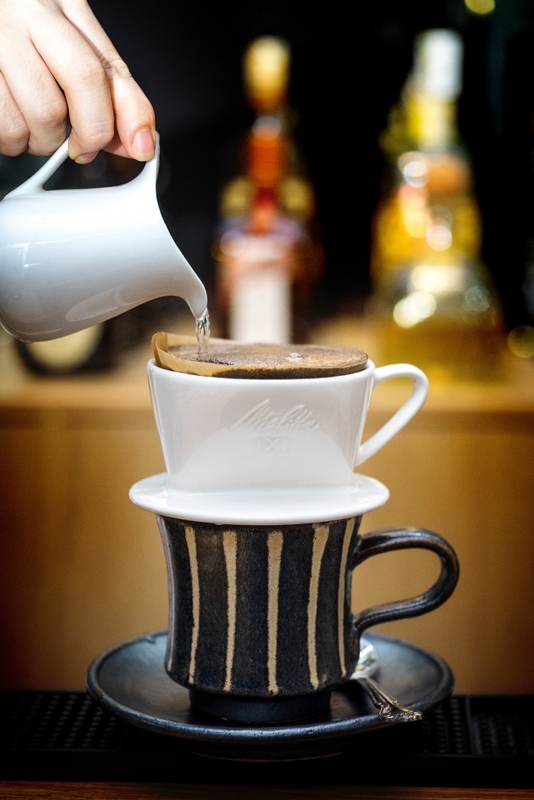 by a cup of coffee. 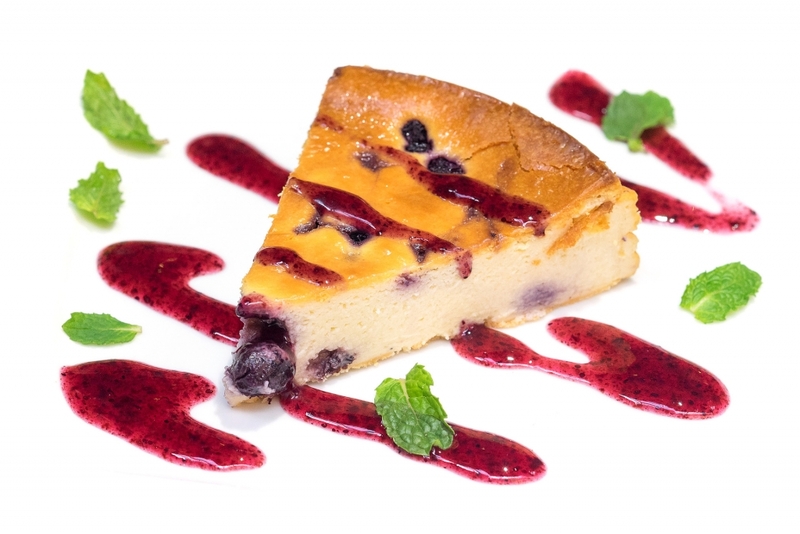 The blueberry was exactly as I was expecting, a New York style baked cheesecake with lightly whipped cream cheese and a perfectly crunchy biscuit base. 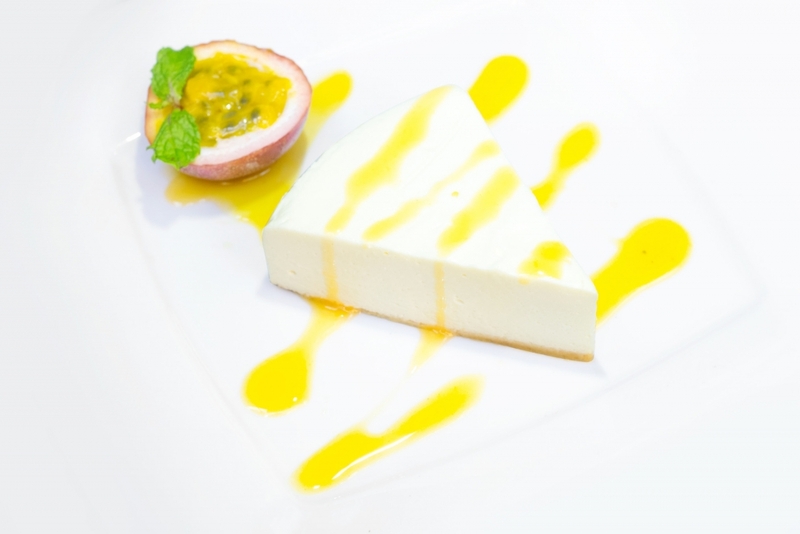 However, the winner of the two was the Rare cheesecake, which was served drizzled with a passion fruit sauce. The cheesecake itself was light and creamy, but accompanied with the tartness of the passion fruit and you end up with a bold and decadent dessert serving as a glorious finale to our journey through Kesera’s menu.